Being my first build, I started with a lower cap of dosh to spend, but as always ended up going nuts. Minimalist approach. So no extra hard drives. 500 GB is enough for me personally, as I store all my media on an external drive and only keep 3-5 games installed at the same time. Everything ended up going pretty smoothly. A part from the heat sink, which annoyingly required me to use a grinder to make the back plate fit through the under side of the motherboard (it was a factory fault, 2 screw's worked flawless in 4 holes, the 2 other screws would not fit all the way). Overclocked to 4.6 GHz @ 1.325 v. I would push it a bit further but I am in no real need of it at the moment. Any regrets? Yeah possibly the 1070. Should of just jumped onto the 1080 with this amount of money being spent. Happy with the outcome? Yeah I am. Paired with an Asus Swift PG279Q monitor, my gaming experience has definitely improved! Thanks for viewing - any ideas or thoughts are welcome. Zehkari. Not much to say here. If your work involves editing or rendering, then this is the beaut for you. Managed to get 4.6 GHz @ 1.325 v. Would push further but not in the need right now. Definitely worth the extra cash, and it does add some future investment. Had difficulty at the start with two of the four back plate screws not fitting through the motherboard. But after grinding them down it was a pretty smooth install. Temperatures are good. It looks stunning as well. For the current price - happy days. Getting 25-30 degrees idle @ 4.6 GHz and 69-73 degrees whilst under 100% load. RAM is RAM. Does the job as much as any other would. Just looks cool with the white version. Costing roughly the same as SATA SSD's, why not? (assuming you have the motherboard), no cables, slightly (ever so) quicker and hardly looks out of place. Win. Does the trick. Good price for gold certified. No problems, supplies the expected flow of air. Pretty quiet to be honest. Love the color scheme and cable management, looks great inside the 400C as well. I have the same monitor and If you ever feel like you need more power then adding a second 1070 will definitely do the trick; I have them in SLI and I'm seeing frames of 90+ with most games maxed out at 1440p. Overwatch runs at 165+ even on the highest settings, it's a great combo with the PG279Q! Cheers, ill consider the SLI in a few months. Had any problems with your monitor? I have had to RMA it 3 times so far due to dead pixels and BLB. Would really like to have a good one, makes a huge difference when gaming. Haven't had any serious issues, the BLB is noticeable when I'm in really dark sections of Dark Souls 3 or on my desktop but it's not bad enough for me to try and RMA. I bought mine second hand off someone locally so I imagine it might be more trouble than it's worth to try and return lol Other than that I haven't had any issues, no dead pixels or performance issues. High refresh rate G-sync gaming is pretty amazing, never going back! Nice build. I have the same monitor and love it. Just curious if a standard thickness fan would fit on your CPU heatsink instead of the slim fan. 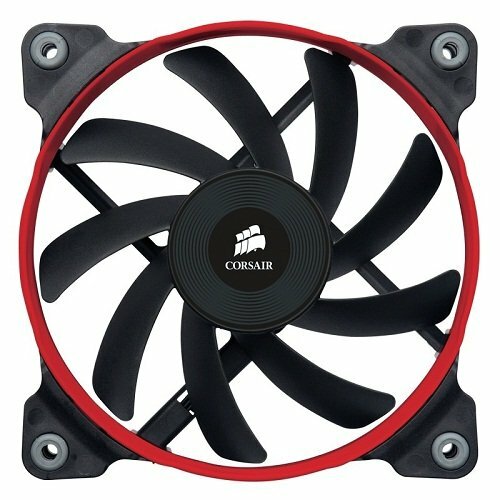 Could be more cooling performance with less noise. Would definitely hit the RAM with a standard sized fan on the heat sink. There are other CRYORIG coolers on the market with thicker fans. The one I obtained just looked good with the white metal. It's performing good for a slight overclock. I think I were to go 4.8 GHz +, I would see some higher temperatures. Explain the NZXT Hue. Do you plug it up and it generates a spectrum of colors throughout the case or does it come with strips that you place throughout the case? It comes with 4 strips that produce the light. You have two connection ports on the hub and you can either chain 2+2 or all 4 together off 1 connection. The different settings for light is programmed with their software called CAM. It's more of a performance piece that helps with temperatures and overclocking (an fps overlay in game as well). You have quite a few choices of light patterns. Including response to your temperature of the CPU. To be honest I usually only have all white set. What cables did you use? They look great and compliment everything very well! The 3 pin cables for 3 of the fans were Bitfenix 3 pin. And the 24 pin motherboard + 2 x 8 pin for GPU are Silverstone from amazon. Couldn't find any white sleeve extension cables for the front panel interface. Very nice system! I do like the colour scheme and use of the Hue+. I actually tested out the Cryorig H5 Universal in my system and also found that two of the mounting screws for the backplate were very tight into the motherboard mounting holes. They only just made it in (requiring a bit of wiggling and pushing), but were able to fit without having to resort to power tools. It is a bit disappointing in what otherwise seems like a high quality product from Cryorig. Tested? I can see you went with the be quiet! dark rock tf, what made you not use the cryorig in the end? In my test of the H5, the result was about the same as the Dark Rock TF. However, I preferred the look of the Dark Rock TF, so didn't go with the H5. It looked too big in my case. hey nice build i have 1 question though. how is your mobo working out for you? It's all good so far. The bios is probably the most easiest I have used. Why? Are you having any troubles with the Z170 S? Actually regret buying the hue+ :D Could of just got some LEDs on the fans. Great build, and love those Rokits! Our parts are exactly the same however im still building it! 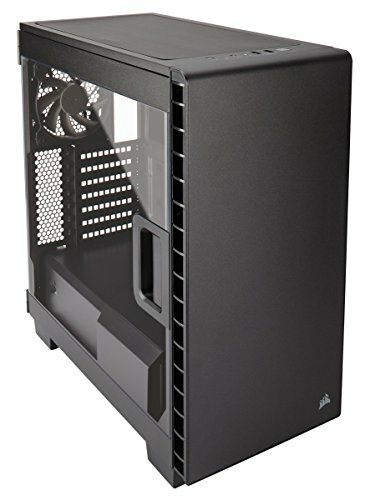 May I know the fans/case airflow of this build? great build man +1 for your white cables for your GPU did you just buy 2x 8pin cables and use those? 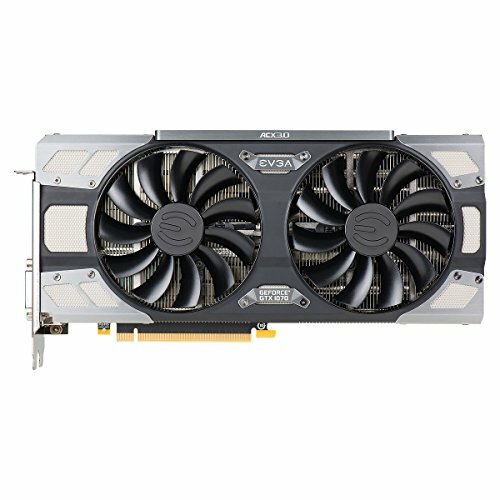 I've actually just ordered the 1080 FTW and will probably sell my 1070. Lost a bit of cash but hopefully now I can get 144fps on BF1 with ultra.